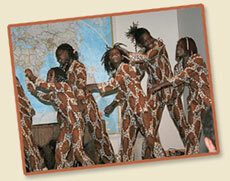 In the Fall of 2009, children from the Kampala Children's Center in Uganda came to visit Nashua, NH as part of the Destiny African Children's Choir. They performed at Elm Street Auditorium located in downtown Nashua. 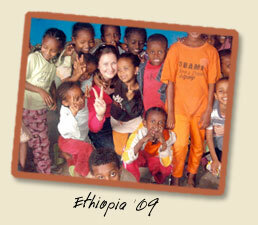 Hope and Life was excited to be able donate $10,000 towards the work at Kampala Children's Center. Hope and Life donated $500 towards educational supplies such as teaching tools, phonics flash cards, cd's of Bible songs, and english phonics curriculum for students in Ethiopia. Also purchased for students were personal items including about two dozen pairs of children's shoes, underwear, and clothing as well as many 6 month packs of multi-vitamins. Hope and Life's funds also went towards the installation of a water line into one family's compound. The rest of the funds were used to purchase food supplies such as grain.